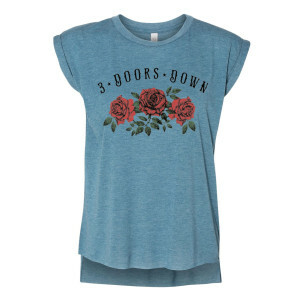 Women’s heather deep teal 65/35 poly/viscose blend cuff tee featuring a roses design on front. Bought this shirt as a birthday gift and he loved it! All of the items I’ve purchased from the 3DD site have been super high quality and fashionable so they were great. Size was perfect as well. Copyright © 2019 All Rights Reserved. 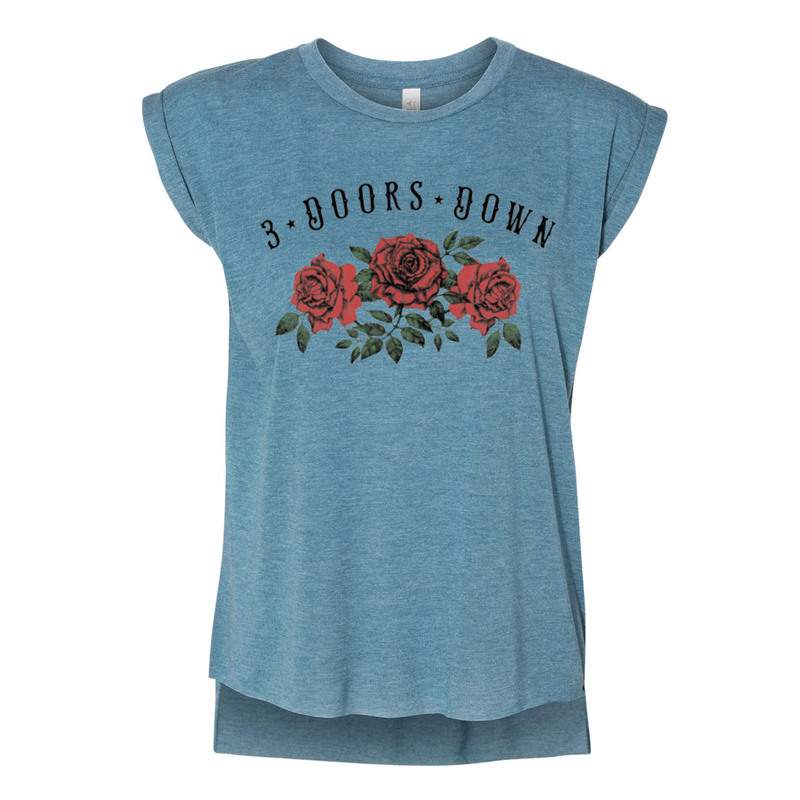 Musictoday II, LLC, is the seller of all 3 Doors Down merchandise and is solely responsible for all aspects of your purchase.